Henryk Mikołaj Górecki is an unusual figure among Polish and foreign composers. He was born on December 6, 1933 in Czernica near Rybnik, died on November 12, 2010 in Katowice. Studied at the State Higher School of Music (PWSM) in Katowice under the supervision of Bolesław Szabelski in the years 1955-1960. Soon he gained recognition in Poland and abroad as a distinguished representative of his generation. In the years after the Second World War he was one of the composers who formed the so called “Polish school of composition” but at the same time he retained his highly individual style. The international success of his Symphony No. 3 recorded by Dawn Upshaw and London Sinfonietta under the baton of David Zinman in 1993 was the beginning of a triumphant progress of Górecki’s music through the concert venues of all continents that continues up to this day. In the compositional output of Henryk Mikołaj Górecki that covers over 80 opuses, an important source of inspiration is Polish early music tradition. 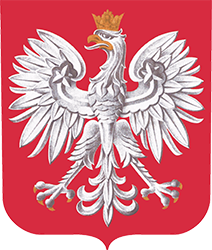 The allusions to that tradition are present in Old Polish Music, String Quartet No.1 “Already it is Dusk” and String Quartet No.3 “… Songs are Sung” Another important and almost always present motif is Polish folklore. However, the music is first of all deeply rooted in religious tradition. Numerous works, such as Beatus Vir, O Domina Nostra, Salve Sidus Polonorum, Lobgesang – are utterances of a Christian who praises God by means of sounds in a monumental yet direct way. The works often are a form of an intimate confession, especially the ones that are connected with the topos of a mother (Ad Matrem, Symphony No. 3). His music is characterized by a great impact and depth of its humanistic message. It is an art involved with the spiritual dimension and cultivating a dialog with tradition. As an artist and teacher of great authority, Henryk Mikołaj Górecki strongly influenced the following generation of Polish composers. Among the composers who studied in his class of composition at the State Higher School of Music (PWSM) in Katowice were Eugeniusz Knapik, Andrzej Krzanowski, Rafał Augustyn, as well as his son Mikołaj. In 1975 he took over the function of Rector of the School. However, four years later he was dismissed. The main reason of his dismissal, apart from his views that stood in opposition to Communist state, was his acceptance of commission from Cardinal Karol Wojtyła (who later was to become Pope John Paul II) to compose a work commemorating the 900th anniversary of a martyr’s death of St. Stanislaus. The performance of the work took place in 1979 in Kraków in the presence of Pope John Paul II. Henryk Mikołaj Górecki is laureate of numerous prizes, including the Award of the Polish Composers’ Union for Monologhi (1960), First Prize at the Youth Biennale in Paris (1961); in 1967 his Refrain Op. 21 for orchestra won 3rd prize at the International Rostrum of Composers UNESCO in Paris, whereas in 1968 his Cantata Op. 26 for organ won 1st prize at the Composition Competition in Szczecin. In 1973 Ad Matrem Op. 29 for soprano, mixed choir and orchestra (1971) won the 1st prize at the International Rostrum of Composers UNESCO in Paris. Henryk Mikołaj Górecki received as well: Music award of the Katowice Voivodship (1958 and 1975), the award of the Ministry of Culture and Art (3rd degree – 1965, 1st degree – 1969 and 1973), the Award of the Polish Composers’ Union for the year 1970, the Award of the Polish Radio and Television Committee (1974), Polish State Award of the first degree (1976), Award of the Minister of Foreign Affairs (1992), Polish Radio Music award for 2002 as well as „Lux ex Silesia” award (2003) presented by the Archbishop of Katowice Damian Zimoń. 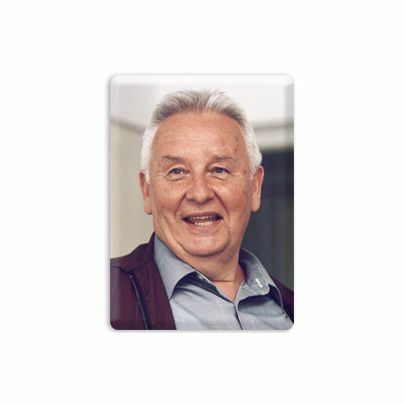 Henryk Mikołaj Górecki received a Honoris Causa Doctorate from the Catholic Theological Academy in Warsaw, the Warsaw University, the Jagiellonian University, Catholic University in Lublin, Catholic University in Washington, the University of Michigan in Ann Arbor, the University of Victoria and Montreal. In 2008 he became an Honorary Professor of the University of Cardiff.